According to the National Retail Federation, the most commonly shoplifted items in the United States include electronics such as iPhones and chargers, followed by makeup, razors, and high-priced clothing items like denim jeans and sneakers. While it would make sense for this crime to be mostly limited to those in poverty, shoplifting is committed by people from all walks of life — even hollywood celebrities. No matter what was stolen or the reason behind it, the bottom line is: shoplifting is a crime, and punishable by law. If you find yourself facing a charge for shoplifting, it is crucial that you seek legal help as soon as possible. Fortunately, there are experienced lawyers who know exactly how to handle this type of situation. DUA Law Firm has criminal lawyers in Northern Virginia that will fight for your defense in court. Shoplifting falls under larceny, or the theft of property from a person or business. Depending on the value of what has been stolen, larceny can be categorized as petit or grand. In Virginia, under Virginia Code 18.2-96 shoplifting is considered petit larceny when the merchandise taken is worth less than $500. Anything more than that, and you’re facing a grand larceny charge (Virginia Code 18.2-95). On July 1, 2018, the threshold amount for a felony larceny increased from $200 to $500. This was the first increase in the amount in approximately 40 years. Petit (Petty) Larceny is a class 1 misdemeanor with a potential confinement in jail up to 12 months in jail and a fine of not more than $2,500, either or both. Grand Larceny is punishable by imprisonment in a state correctional facility for not less than one nor more than 20 years or, in the discretion of the jury or court trying the case without a jury, be confined in a jail for a period not exceeding 12 months or fined not more than $2,500, either or both. A person charged with larceny is at risk of jail time. A charge of grand larceny is a felony charge and could result in jail time even for a first-time offender. If you have committed petit larceny, a misdemeanor, jail time is still a possibility. Whether or not jail time is possible depends on the circumstances of your case and your criminal history record. To give yourself the best shot at avoiding consequences that could be damaging to your reputation, ability to find jobs or maintain your current job, and band account, it is important that you hire criminal lawyers in Northern Virginia you can trust. 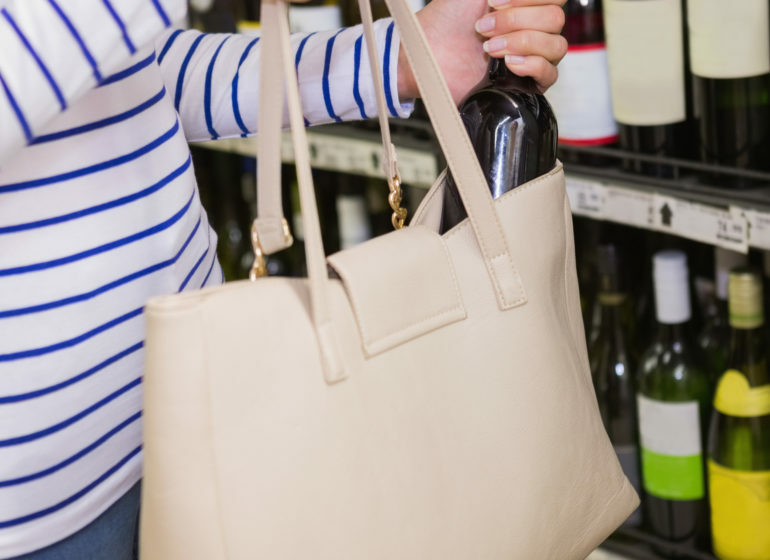 At DUA Law firm, our experienced criminal attorneys in Northern Virginia have strategies for defending individuals who have been charged for shoplifting. Were you the person who concealed the merchandise or were you a bystander? Did you intend to take the item? Another viable option is to prove that the owner of the item gave consent for the defendant to take it, or that the defendant was made to believe they had permission. What was the value of the merchandise? If you are charged with felony grand larceny (merchandise value over that exceeds $500), then we may be able to get it reduced to a Petit larceny (misdemeanor) by challenging the value of the merchandise. DUA law firm will consult with you in order to come up with a defense that will be effective in the eyes of the law. Proactiveness is essential when it comes to reducing or eliminating a larceny charge. If you find yourself struggling under these difficult circumstances, don’t wait another day; call one of our Northern Virginia criminal attorneys today at 703.382.7300 or fill out our online contact form. DUA Law Firm will work with you tirelessly to ensure you every option has been exhausted.